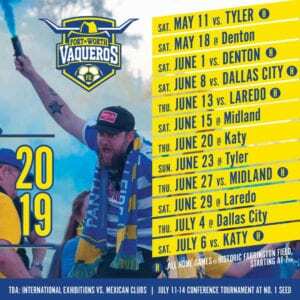 FORT WORTH _ Old Rivals Reborn and New Foes highlight the 2019 Fort Worth Vaqueros schedule. Trinity River Cup rival Dallas City FC returns to NPSL action after a one-year hiatus, while Denton launches a new opponent for the Boys in Blue this summer. 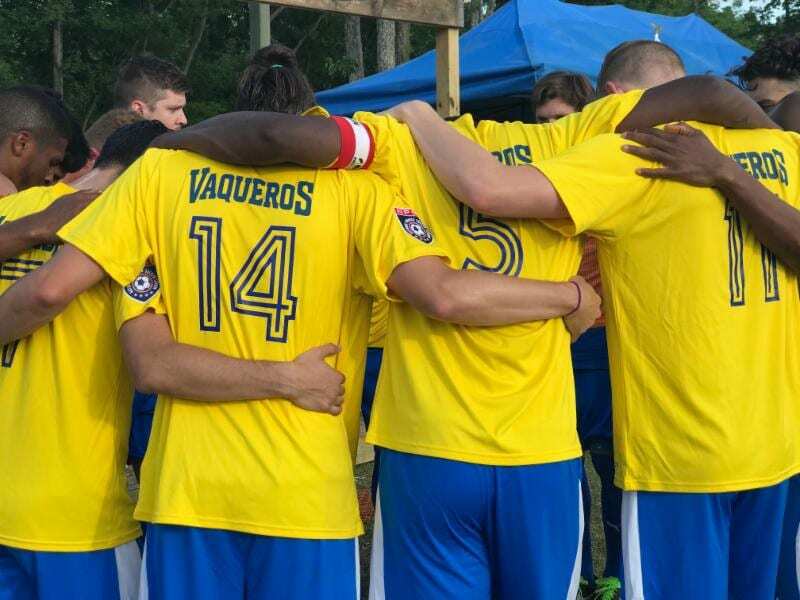 The Vaqueros announced their 2019 NPSL schedule on Tuesday as the Lone Star Conference returns to action. The Lone Star Conference features a home and away series against all six opponents including powerful sides in Laredo, Midland, Tyler and Katy. The Top 4 sides will reach the Lone Star Conference Tournament that will be held at the No. 1 seed’s venue July 11-14.